Let's face it - being a homeowner is not always a bed of roses! Spending hard earned cash on furnace or air conditioning repair is never fun. With Arctic Heating & Air, Inc. you have found a Los Angeles HVAC contractor dedicated to enhancing the level of your indoor comfort control at a price you can afford. We stand apart from other air conditioning and heating contractors in that we offer our Los Angeles customers competitive pricing combined with industry top service. We are not about rolling units out the door like a retail store, and we don't sell you a piece of equipment at a great price and then skimp on the installation either. Arctic Heating & Air, Inc. technicians are experts in the field, and we install HVAC systems to code for optimum running efficiency, performance and reliability/longevity. Thank you for your interest in competitive pricing and amazing service from Arctic Heating & Air, Inc. of Hawthorne, CA. Give us the chance and we'll raise the levels of your indoor comfort control like never before. 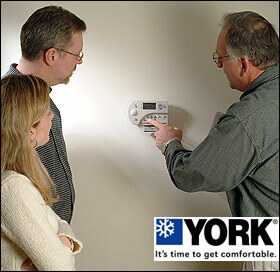 York® Heating and Cooling Products: Much More Than Competitive Pricing! York® air conditioners and furnaces hold some of the highest efficiency ratings in the industry, saving our customers substantially on their monthly utility bills. Additionally, HVAC units from York are very competitively priced! York incorporates innovative features like ClimaTrak and QuietDrive into their product line creating furnaces and air conditioners that are the most adaptive, efficient and quiet HVAC units in the industry. As stated above we have a primary goal: high quality indoor comfort control at a price that will not bankrupt our customers. With York® heating and cooling products this is a reality. We rest easy at night knowing that our customers have the very best keeping them comfortable, at a competitive price they could afford. It just doesn't get much better than that.